Time is the most valuable thing in every person’s life – regardless of career, lifestyle, or income. 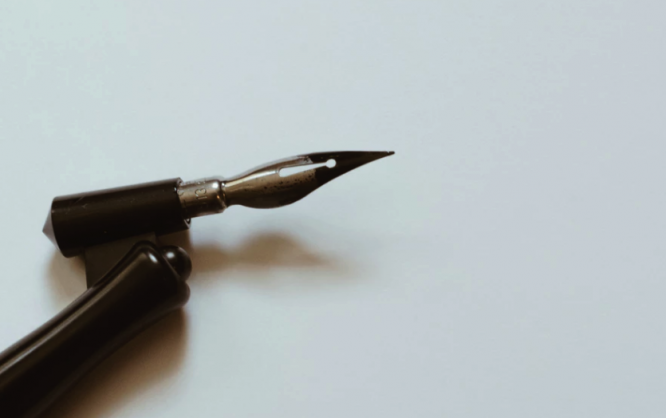 In these days of quick tech advancements, it is highly inefficient for anyone to spend time printing out a document, sending it off to recipients, asking them to sign, then having them returning it to be filed. Thanks to free online PDF signing tools, no one has to go through those steps anymore. Now, you can quickly sign PDF documents with electronic signatures, also known as, e-signatures. Using an e-signature to sign documents is a commonly accepted practice. It is quick, easy, secure, and professional – all things you want your brand to be associated with. To save you time, we’ve created a list of our top five free PDF signing tools for 2018. 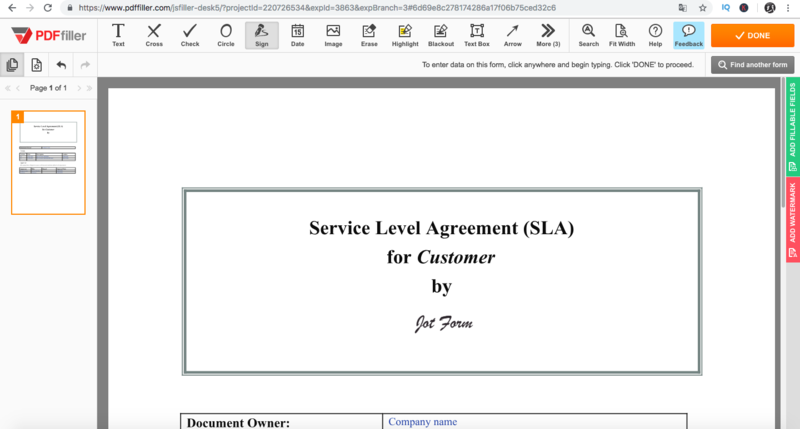 In this list, you’ll not only learn about the best free online PDF signing tools, but also how you can use them to sign documents in less than five minutes. The five signing tools listed below are web-based and free. They are compatible with Windows 10, Mac Os, Linux and Tablet, Mobile and smartphones, iPad, iPhones, and Chromebooks. 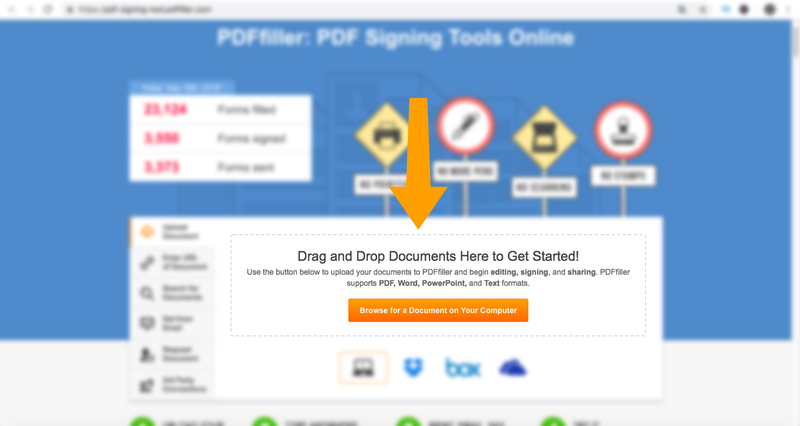 PDF Filler is one of the easiest ways to sign PDFs online. This website supports Word documents, PowerPoint, PDF and Text formats. 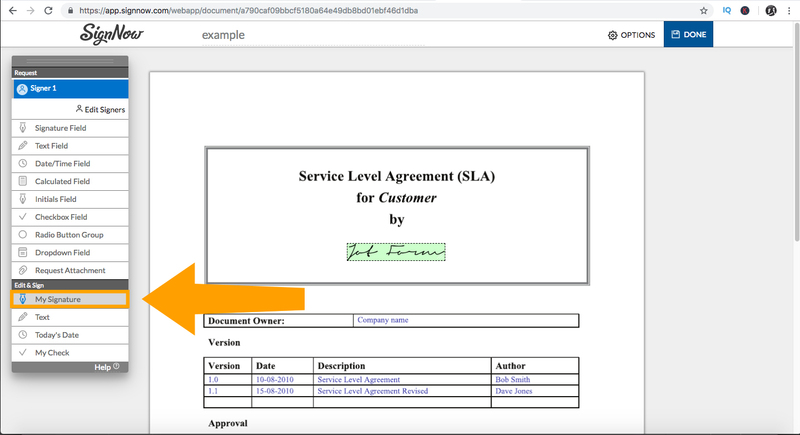 Something unique about it is that you can enter the URL to the document you want to sign, meaning that you don’t need to have the document stored on your computer before you even sign it! You can also retrieve it from your email inbox or third-party apps like Google Drive, Dropbox, Office or Box. 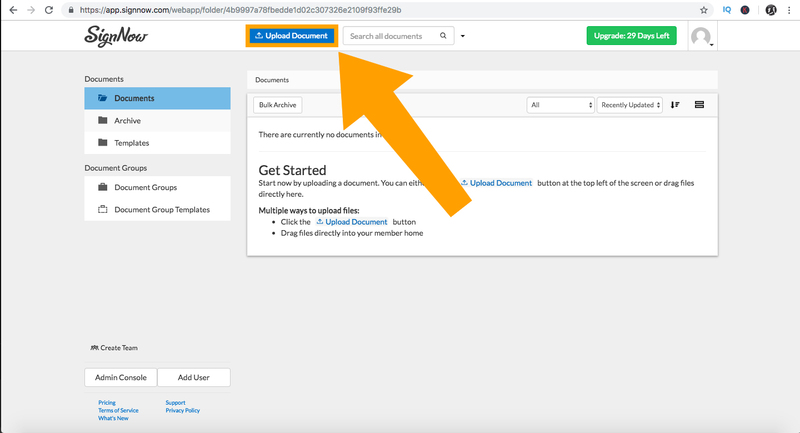 To get started, type in the URL and upload or drag and drop your document using any of the options listed above. After uploading your document, click the Sign button. 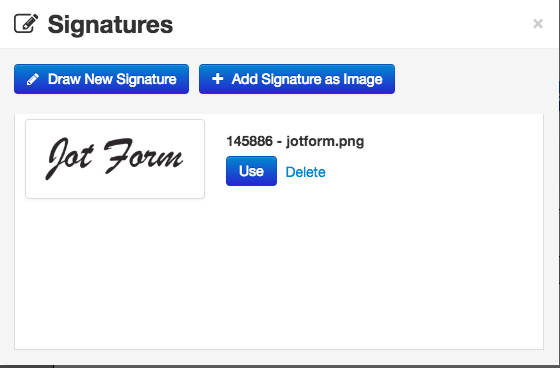 Now, you are shown different ways you can add your signature. You can type, draw, capture with a camera, scan a QR code or upload an existing image of your signature. 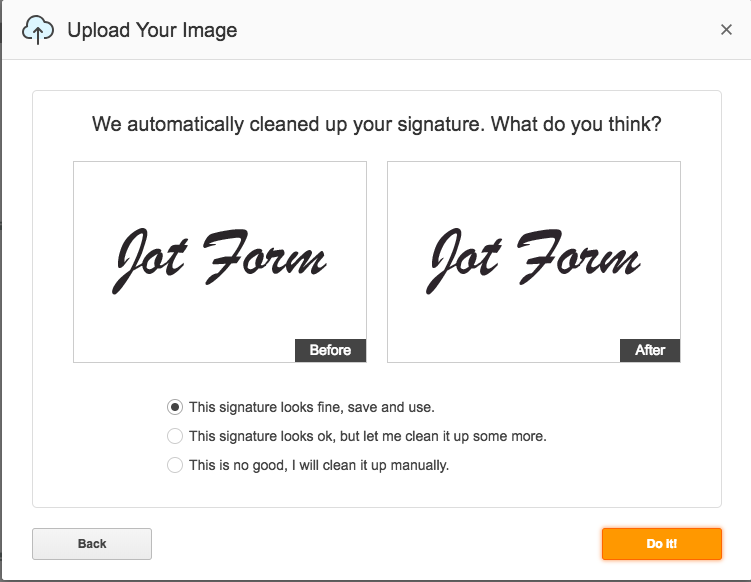 Below, we’ll show you two ways you can add your signature using this tool. To do this, you simply type your name in the text box and click the “Sign” button to create a handwritten version of your signature. 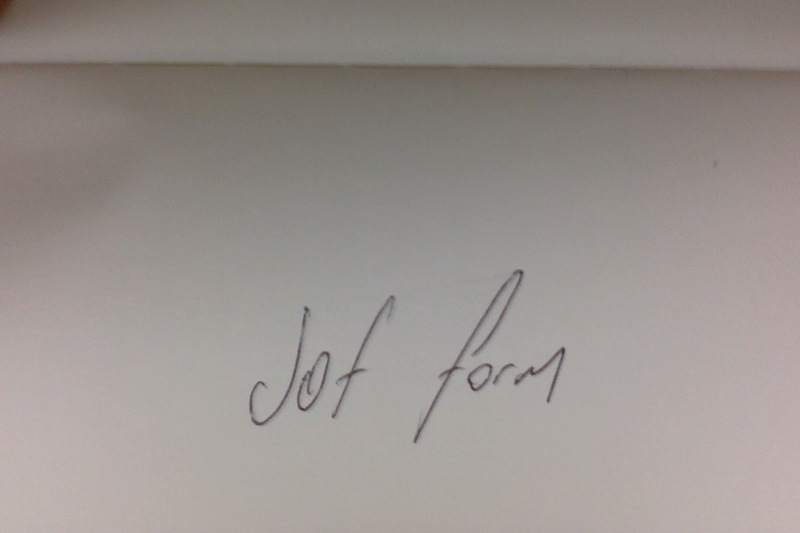 You then place this signature in the space or field in your document. That’s it! 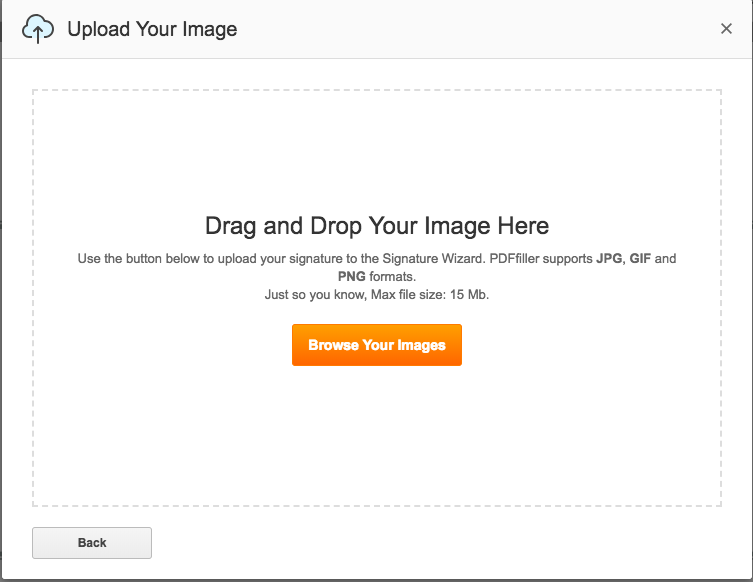 If you already have a saved photo of your signature, you can simply upload that by clicking the “Upload” button. The image can be a PNG, JPG, or GIF. We recommend using either PNG or JPG formats because they render predictably on all operating systems and browsers. PDF Filler cleans up the image and gives you the option to make it cleaner. Once you’re satisfied with how it looks, you can place it in the space or field in your document and you’re done. 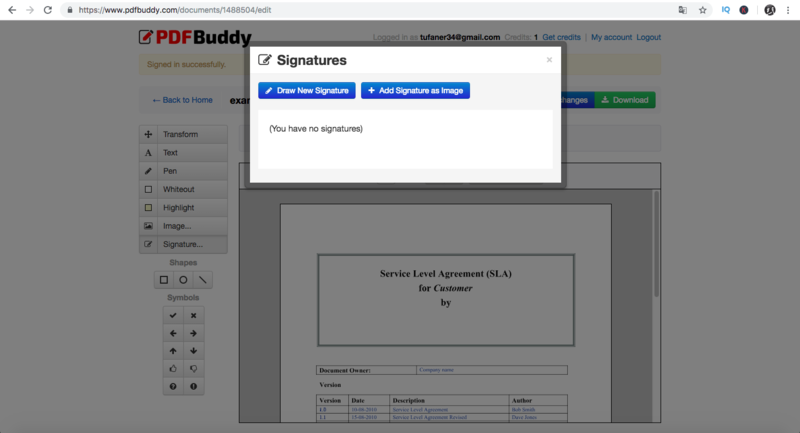 PDF Buddy is another great free tool which helps you sign and edit documents. PDF Buddy has Secure Sockets Layer (SSL) and AES-256 bit encryption to keep your documents and e-signatures safe. Below are steps to use PDF Buddy. To get started, type in the URL into your web browser. You will be taken to the homepage where you’re asked to drag and drop your file or “Choose PDF to Edit” from your computer. After uploading your file, select the Signature button on the left navigation bar. You will then be asked to log in or sign up if it’s your first time visiting the site. After signing up, a pop-up opens from the “Signatures” option. You can either draw your signature or add it as an image. In this example, we will choose the option to add our signature as an image. We recommend that you have a photo of your hand-drawn signature on your computer or smartphone so it’s easily accessible. 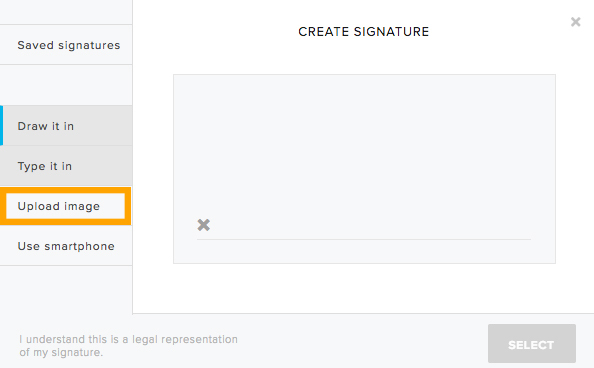 After you upload your signature, click the “Use” button. 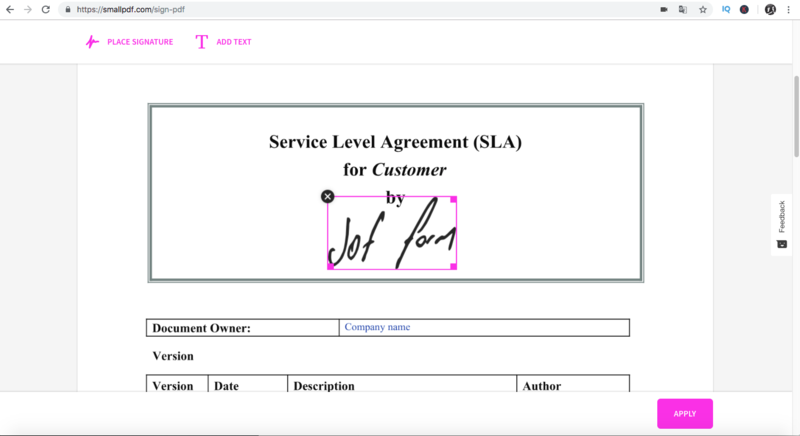 Similar to PDF Filler, place the signature in the space or field of the document. SmallPDF is another easy and free online tool to sign and edit your documents. Benefits of using it include its cloud-based saving option and other converting media files from one type to the other (I.e., PDF to JPG, PDF to Word Doc). You can see all these options on the SmallPDF homepage. The process to use SmallPDF’s eSign is similar to the both PDF Filler and PDF Buddy. You can enter the URL and drop your file into the box or upload a file from Google Drive or Dropbox. 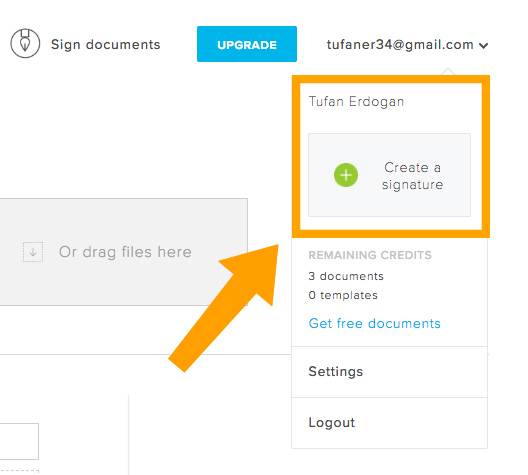 Once you have uploaded your file, you will be asked to choose how you want to upload your signature. You can draw it with your fingers, upload directly from your device, or capture an image with your camera. If you are using a smartphone, you can use your phone’s camera and if you are using your computer, you can use your webcam. After choosing the “Camera” option, make sure to allow “Camera Request.” This grants SmallPDF permission to use your webcam. Take a steady and clear picture of your signature on a piece of paper. Then, you simply click, “Place Signature” and insert it into the document wherever appropriate. You will then be asked to download your signed document. 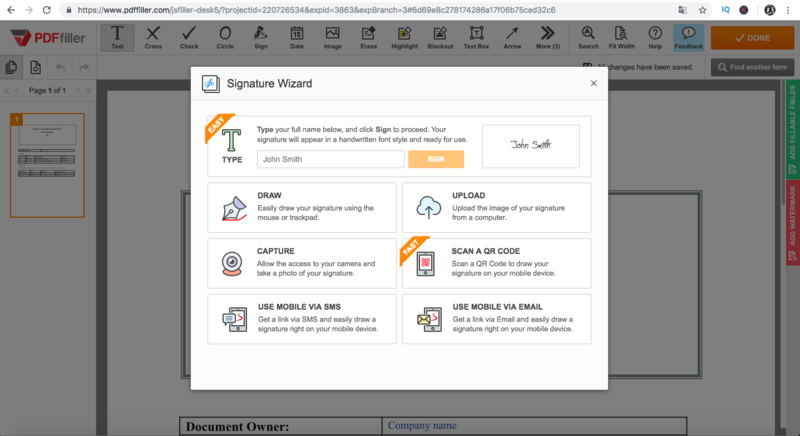 HelloSign is more than a simple PDF signing tool. 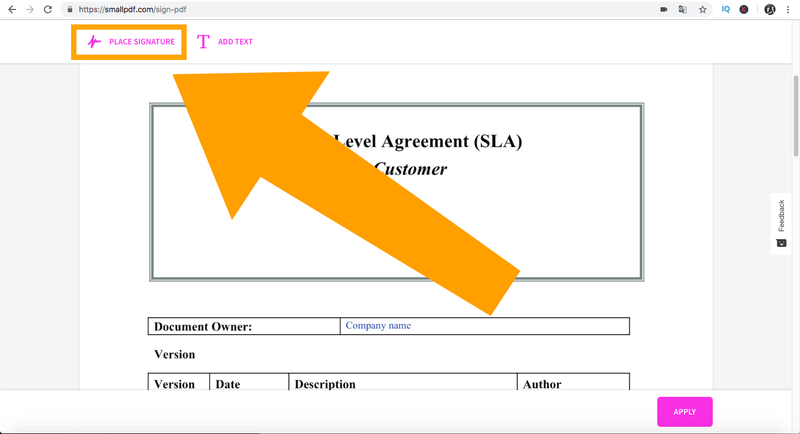 It integrates with your business and helps you create customized agreements with clients, employees, and partners really easily. HelloSign has catchy slogans like ’eSignatures Simplified,’ and works with some of the biggest companies in the world, such as Lyft, Samsung, and Twitter. They provide high-level security for the documents and signatures, and also keep the process simple. 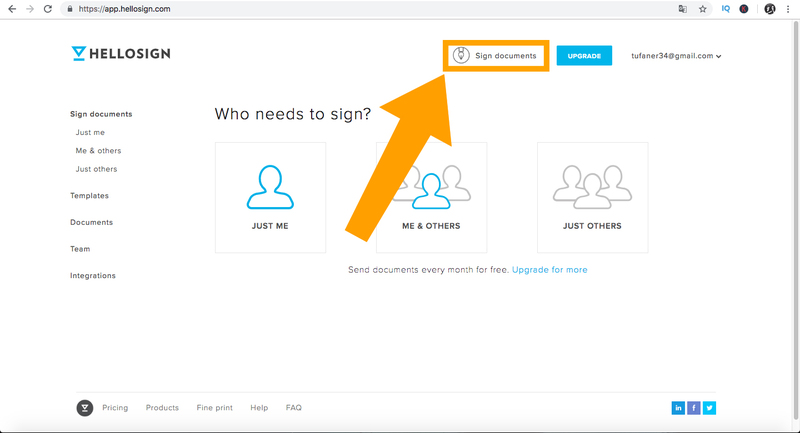 Here are the steps to use HelloSign to sign PDF documents. To get started, type in the URL. Once you’re on the site, make sure to create an account. After your account is created, click on the “Sign Documents” option on the top right menu bar. Next, you’ll be asked to “Create a Signature” and given the option to draw, type, or upload an image through your computer or smartphone. For this example, we will choose to upload an image with our signature. 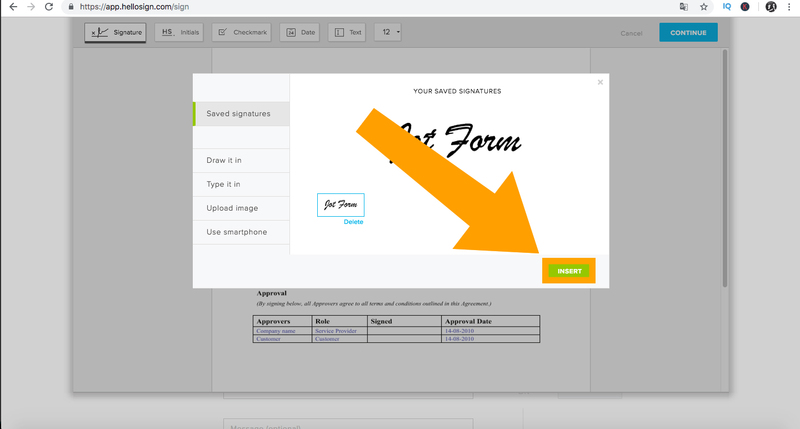 After your document opens, click on the “Signature” button and insert your uploaded signature. After that, click “Done” to save your document. Last but not least, we have SignNow. 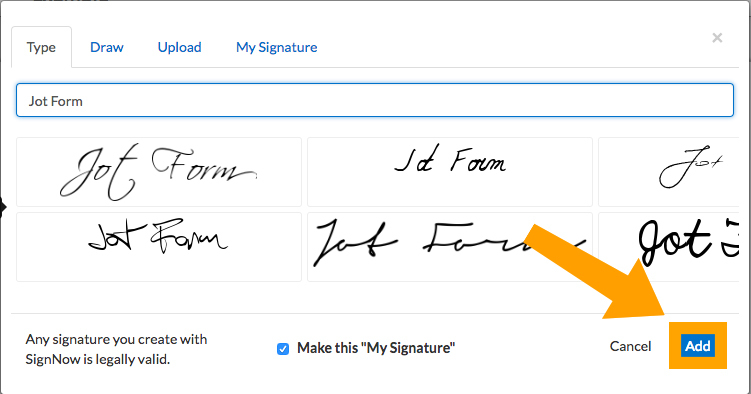 Similar to the four editors above, SignNow is straightforward and provides legally binding e-signatures on all devices. They also have an iOS app. SignNow is the only tool on this list that’s not free. They offer a 30-day free trial, however, and their mobile app makes it easy for users to sign, save, and send documents on-the-go. To get started, simply enter the URL and sign up to use the free trial. Once you’re registered, upload your document by clicking the Upload Document button shown below. After your file is uploaded, click on “More” and open your document. When the document is open, click on “My Signature” as shown below. You’ll then be asked to add your signature by typing, drawing, uploading, or using a pre-saved signature. Don’t forget to click the “Save” button after creating or uploading your signature. 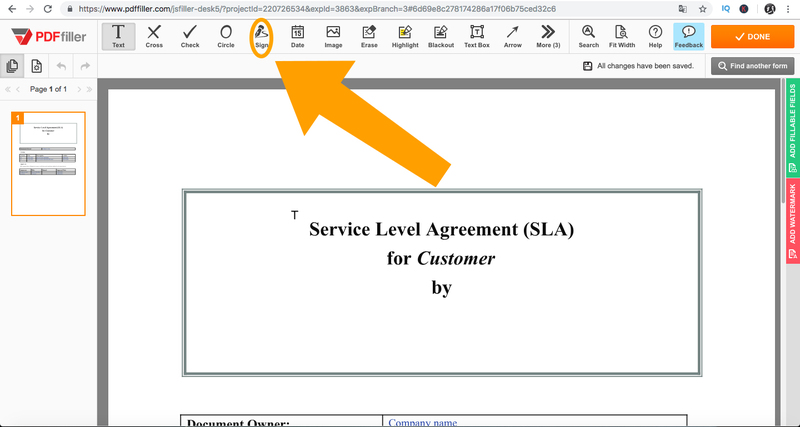 Once saved, simply click the “Add” button and insert your signature into your PDF file. Both your document and signature will be saved, so you can use it again when you need to. And there you have it – the top five free online tools for signing documents in 2018! Learning how to edit PDFs can be challenging, but these tools can save you a ton of time, which will make you more efficient and keep you at the top of your game. Know of any other PDF signing tools? Please share in the comments below. Thank you for sharing these useful tools! You Really Great Very nice Tips Your Really Nicely Explian Step By Step Love Your Post Thanks, Sir. Good information share to this post. Thank you for sharing PDF Signing Tools. This article is so great! I like Hello sign pdf tool, thanks for sharing this valuable info.